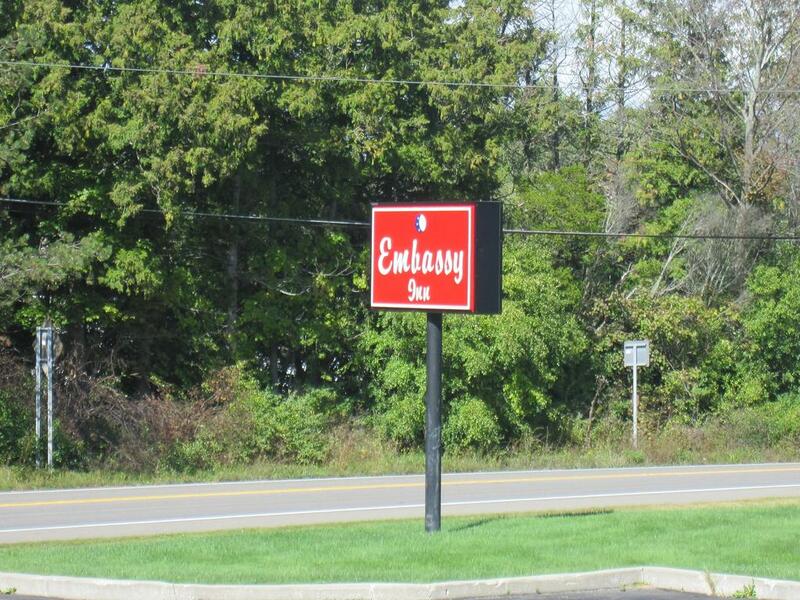 The embassy inn motel Ithaca provides simply furnished, neat and clean rooms to the guests. Each room is equipped with air-conditioning, hairdryer, cable TV, and a refrigerator. Complimentary breakfast is offered to the guests every morning. Facility of free local calls is provided. Free, high-speed unlimited Wi-Fi is accessible in all rooms and in some areas of this motel. All rooms have private bathrooms. Other services include daily housekeeping, vending machines, and the front desk is open 24/7 for the guests. Free self-parking is possible on site without any reservation. The Ithaca Tompkins Regional Airport is just 4.3 km away from this motel. Many other places are situated near this motel that covers a shorter distance than many other motels in Ithaca NY. The Robert J. Kane Sports Complex is 3.9 km away, Sciencenter is just 6.4 km away, and Museum of the Earth is situated 9 km away from this Embassy inn motel Ithaca. Ithaca, a city in New York is all surrounded by beautiful waterfalls, forests, lakes, extraordinary theaters, historic architecture, this city is all lined up with casual and fine dining restaurants, shops, and much more. This city offers excellent opportunities to visitors every season. Ithaca Fall, Buttermilk Falls State Park, Stewart Park, Sciencenter, Ithaca Farmers Market, Allan H Treman State Marine Park, and Museum of the Earth are some of the most amazing and interesting places to visit in this city.